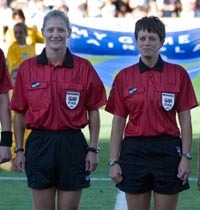 The offical report from the 2 USA Referees selected to Referee the Women's World Cup 2007. Keep up-to-date on our latest match assignments as well as the day-to-day happenings of a FIFA referee in China. Thank you everyone for your support and well wishes. They are much appreciated. . Unfortunately there was a delay in announcing appointment and we will not know final appointments until Saturday afternoon (Shanghai time). Please check back often on Saturday for the latest news. Until then keep your positive vibes coming. Wednesday was the first semi-final Germany v Norway. As usual, the day started with training in the morning (fairly intense with 16x100 meter sprints, followed by 100m jog) and a technical session on the field. We focused on a variety of actual scenarios with players going to goal. The objectives was to determine if there was an Obvious Goal Scoring Opportunity. It was imperative that we considered the D's in making our decisions. With no debriefing scheduled, we had the afternoon free. FIFA scheduled a shopping trip (the #1 attraction here in Shanghai and by far the most "experienced" by the referees). Not knowing exactly where we were headed I boarded the bus, just out of a need to stretch my legs and get out of the hotel. Needless to say unless I was looking for imitation hand bags, watches or t-shirts there was nothing for me at the market. 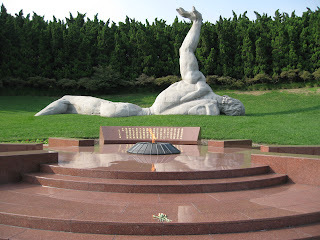 However I did find a wonderful park just a few blocks away, actually called a Mausoleum for Martyrs. Some interesting Chinese history at this beautiful park. But as usual the sign translations where a some of the most entertaining elements of the day. 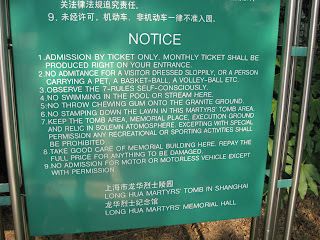 Select your favorite translation of the park rules on this sign . The true focus of the day however, was of course the semi-final which we all watched together live in the referee lounge in the hotel, as the match was being played in TianJin about 1:30 hour flight away. Thursday's schedule is much the same as Wed, but nothing in the afternoon officially planned so I took team Asia (referees from China, Taiwan and Japan) out to explore. 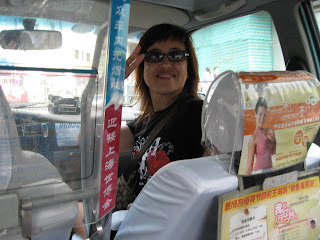 I had my first taxi ride in China. A bit safer than I expected. We made it to our destination with no problem . 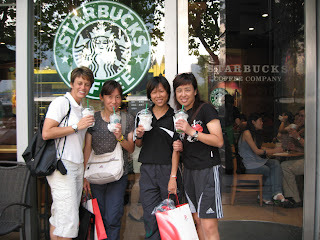 and of course stopped of a Chinese Starbucks (apparently there are over 65 in this city). I tried the new Green Tea Blackberry Frappuccino - Fabulous! Now it is time to watch the USA v Brazil semi-final. This game is bound to be one of the most exciting games of the tournament. Go USA. Last night the referees celebrated the conclusion of the first part of the tournament with the first round and Quarterfinals completed. We had a wonderful dinner at Villa Rouge a "french" restaurant (which serves Chinese food). We had the whole back patio for the FIFA referees and LOC members for dinner, live music and dancing. With only 8 referees and 11 AR's staying for the next round, there was much to celebrate as the WWC '07 has been a great success to-date. With only 4 matches of the world cup remaining, we are all very anxious to see what is in store for us as we have some thrilling Semi-Finals coming up and of course the final and 3rd/4th place match. Today we received assignments for the 2 Semi Finals. 2 referees teams from UEFA will be officiating. Dagmar from CZE is the referee for the Norway v Germany match and Nicole from SUI is the assigned to officiate the USA v Brazil match. Now we must wait and see to see if the team remaining to represent CONCACAF receives another appointment: Kari Seitz, Isabel Tovar (MEX) and Rita Munoz (MEX). Keep your fingers crossed for us! Also today Sept 25th, is a special holiday in China. Today is the mid-Autumn festival, where family togetherness is celebrated and moon cakes are eaten. FIFA was kind enough to buys us each a moon cake in order to experience the Chinese culture. Jen and her team arrived in Wuhan around 5pm Saturday evening. As before, we were greeted at the airplane as VIPs with flowers. We arrived at the hotel at 6pm and watched the second half of the Germany vs. North Korea quarterfinal which ended 3-0. After the match, we had dinner and then watched the USA vs. England match together. England put up a good fight, but simply could not find the back of the net and the US benefited from a few goalkeeping mistakes to win 3-0. Sunday morning, we had breakfast together at 8:45am followed by a short walk in the nearby neighborhoods. We had our pre-match meeting at 10:45am and are now preparing for the match. We are all excited. The match sold out a week ago, 55,000 spectators. As we walked in the streets with our local guide, many Chinese people asked our guide if we were the referees for the match. Of course she told them “no”, but many called her a liar. They are very eager to see their team tonight in Wuhan. 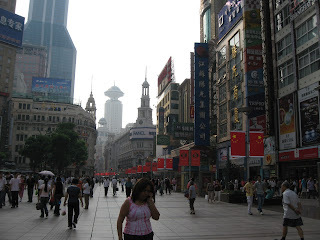 We left Hangzhou Friday morning headed back to Shanghai via train. We arrived in Shanghai around 1pm. We were notified of the quarterfinal assignments. Jen would be the 4th official for the match in Wuhan on Sunday – Norway vs. China. 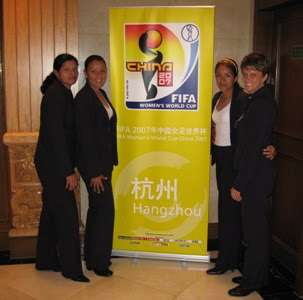 Jen will work with Gyongii Gaal (Hun), Marisa Villa Gutierrez (Esp) and Cristina Cini (Ita). At 3pm, we had our post-match training. The post-match training typically consists of a warm-up on the stationary bike followed by stretching. Jen decided to take the opportunity to swim in the pool in lieu of the typical post-match training. At 4:30pm, we had our match debriefings as usual and dinner later in the evening. We officially started our referee ping-pong tournament. Jen’s first opponent is Janie Frampton, FIFA instructor from England. We played our match after dinner with Janie commenting that this was a precursor to the USA vs. England match the following night. Janie put up a good fight, but Jen was able to defeat Janie in two matches and moves on to her next opponent, Fu Hongjue (China). Of course, ping-pong is the national sport in China, so the odds are certainly in favor of Fu, but Jen has been doing some serious mental preparation and visualization to get ready.  Meanwhile, Kari’s first opponent is Jerome, our electronic communication expert from France. Both have been doing their fair share of trash talking, but we’ll see who comes out on top. The prospects are not good however; whoever wins will face Alejo, our fitness trainer from Argentina/New Zealand who is arguably one of the better players in the tournament. Saturday morning, we had three different groups at the morning training session. For Jen’s crew, they had their -1 preparation (one day prior to a match) and for Kari’s crew, they had their +2 preparation. Both physical and practical training continue through the play-offs. At lunch, Jen and her crew departed for Wuhan while the remainder of the referees had their regular meeting to discuss match preparation for the quarterfinals. Once again, thanks to everyone for your continued support! When are we leaving and how long will we be gone? Jen had been waiting in the lobby to bid Kari and her crew farewell and also found out that her match would be delayed by a day and moved to Hangzhou. An hour later at the debriefing session, Jen and her crew found out that they would be leaving the hotel in less than an hour to travel by train to Hangzhou on the last train that evening. Hangzhou is only about 200km from Shanghai, so traveling by train is an excellent way to go; especially in a Typhoon. Both groups (on separate trains) were led by the local guide. 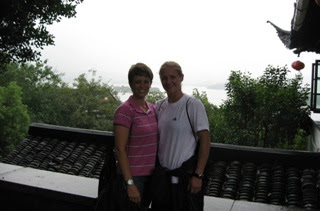 Adrianna (Kari’s 4th official) had been to Hangzhou three times, so she was an expert. We navigated the station with ease. The train took us through the Chinese countryside, but with the rain it was hard to see. We traveled at about 175kph and arrived in only an hour. Given that the matches had been postponed for a day, we had an entire free day ahead of us in Hangzhou. Our hotel was located across the street from West Lake, a very tranquil setting. However, after an evening of pouring rain and more rain and humidity on its way, we started the day with an indoor activity. The local organizing committee shuttled us to the Hangzhou Silk Mart. We learned all about silk – how it is manufactured by hand and how to determine if it is real. Did you know that real silk is flame resistant and burns cold? We spent a couple of hours shopping in the silk mart prior to returning to the hotel. After lunch in the hotel, we spent a good portion of the afternoon walking around the West Lake. The park was originally the home of a famous Chinese poet and throughout the park we were able to see many tributes to his work. Because of the rain and impending storm, there were not many visitors at the lake so we were fortunate to have some tranquil time. Later in the afternoon, we returned to the hotel for a work-out in the gym. We were planning to watch the other matches on the television at 5pm and 8pm. However, at 5pm, we could not find the match on the television so we went to the FIFA office to see if they had access to the broadcast. We then found out that the two matches had also been postponed only a few hours earlier. So Kari and Jen ventured out once again in the rain to do some sightseeing. As a group, we started with Breakfast around 8:15am. We hurried along in order to be ready for our local guides who had a “plan” for us from 9-11am. We all agreed that sitting in the hotel all day was not the best way to get us in our optimal stated of mind. With 2 world cup vans and our local guides all seven of us set off for the Hangzhou countryside. Our bus ride ended at the Dragon Well Green Tea “plantation”. Here we learned about making and drinking green tea. Of course we all purchased something and took photos – typical of referees. The first match of the day was Norway vs. Ghana. Jen’s referee team met for their pre-game meeting at the hotel prior to lunch. The referee team left for the stadium 2 hours prior to kick-off. We arrived at the stadium, inspected the field and started preparing for the match. We were greeted by Mr. Angel Maria Villa Llona, the Chairman of the FIFA Referee Committee who was in attendance for both matches. He came to the locker room to wish us well. The match was originally scheduled for Shanghai so there were not many fans in attendance. Ghana had already been eliminated from the play-offs, but that did not discourage their spirit. Their fans were cheering them on with song and dance. There were many combinations which would allow Norway to advance, but to guarantee a place in the play-offs, Norway wanted a win. The match ended 7-2 in favor of Norway so Norway was guaranteed a place in the play-offs. The match was played with a good spirit, a tribute to the spirit of the Women’s World Cup. After the match, we finished our paperwork and then went to the VIP tribune to watch the second match, Brazil vs. Denmark. Knowing that the Brazil vs. Denmark match was a critical match, with a win by Denmark necessary to stay in the tournament, I wanted to make sure that I was in the most positive frame of mind, in order to be ready for anything. 43,000 fans were in the stadium eagerly cheering on Brazil. A win by Brazil and in the simultaneous match a win by China, meant team China would go through to the quarterfinals. Needless to say, the China supporters were extremely enthusiastic. Early in the second half, I was 1,000% concentrated on the match and despite the announcement being made in Chinese - I knew that China had scored on New Zealand – the crowd erupted! It was awesome. And they didn’t quiet down from there. The Brazil vs. Denmark match proved to be a wonderful display of technical skill and speed. With some simple man management by the referee crew, the teams settled in and played a great game of football. Only 2 cards were needed in the match to keep things in order. The Danes fought hard, but in the end they could not beat Brazil’s attacking and individually skillful game at a final score of 1-0. The greatest aspiration for a referee is to officiate a game which is considered safe, exciting (good football) and fair. At the end of the match I received a wonderful complement from #9 of Denmark. She touched my arm and said, “It is a pleasure to work with a good referee”. If the loosing team plays their heart out and feels they got a “fair shake” then we have done our job. What an honor and a privilege to have officiated this match.